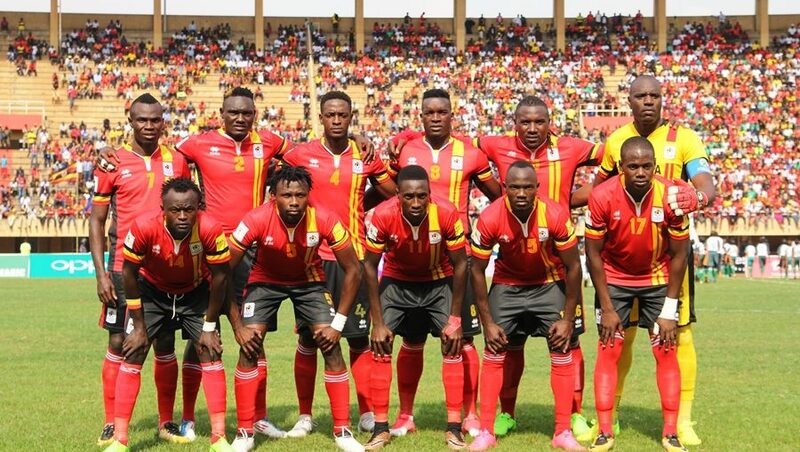 CAIRO – Uganda Cranes players and officials who left the country on Sunday arrived safely in Cairo, Egypt in the early hours of Monday morning. The team left Entebbe International Airport on Sunday evening aboard Ethiopian Airlines. They had a stopover in Addis Ababa, Ethiopia where they were joined by three players who are based in Tanzania. Emmanuel Okwi, Nicholas Wadada and Murushid Jjuuko are the players that joined from Ethiopia. From there, they connected to Cairo and reached at 3 AM before checking in at the lavish Tolip Hotel and Spa Ismaila Forsan Island Hotel. More foreign based players are expected to join the team in Cairo within the week. There is no time to rest as the team training commences on Monday (March 18th). The encounter will be their final group game having already qualified for the finals in Egypt, later this year. Murushid Jjuuko (Simba, Tanzania), Timothy Awany (KCCA, Uganda), Halid Lwaliwa (Vipers, Uganda), Geofrey Walusimbi (Free Agent), Joseph Ochaya (TP Mazembe, DR Congo), Nico Wakiro Wadada (Azam, Tanzania), Hassan Wasswa Mawanda (Free Agent), Tadeo Lwanga (Vipers, Uganda), Ibrahim Sadam Juma (KCCA, Uganda), Moses Waiswa (Vipers, Uganda), Emmanuel Arnold Okwi (Simba, Tanzania), Allan Kyambadde (KCCA, Uganda), Allan Okello (KCCA,Uganda), Henry Patrick Kaddu (KCCA, Uganda).